If you are hosting your site on blogger platform and want to move to a custom domain without buying hosting, you can do so with any host provider. Google itself provides one for $10.00 a year. However the main problem with not having a host is that you can't have professional looking email id like yourname@yoursite.com or admin@yoursite.com. And you can use these email ids within your gmail id. Because most host only give you domain registrations without any email forwarding. However there is a way out. Namecheap is a good hosting and domain registration provider and it also lets you use its servers to host emails from any custom domain. There is a limitation of 5 emails for the free users. Why I am writing this article? Because I was floored by the very good customer service Namecheap has. I have purchased a custom domain from Bluehost while I continue to host my blog from blogger. Contacting Bluehost is very difficult as their customer service runs only from 8.00 pm IST onwards. Further contacting their service was a big headache because for over 15 minutes I got to hear only the music at the cost of ISD rates. Overall when my call was done, I got no solution and was left poorer by Rs.120.00. 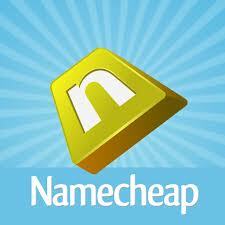 I got to know about Namecheap services from a blogger friend of mine. But due to lack of knowledge in the technicalities of CNAME, DNS etc, I got stuck. My site was down for more 5 hours due to improper settings. Ultimately I started a chat with the Namecheap representative by the name of Ted.V. And believe me, he guided me through the process for 2 whole hours without any sweat. I could only thank my stars and him for helping me out. Remember, I was a free customer using their services for free. But at the end of it I was so impressed with their service, I will move my domain as well as hosting to them. They give domain registration at $9.87 in which you also get subdomains. A tutorial on adding email as I have said above on Namecheap servers is given here. Do make use of its brilliant free service.